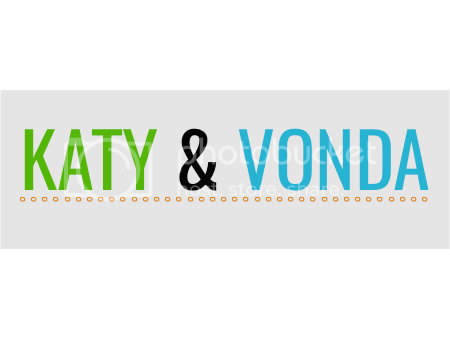 Wowzers - this product just got a HUGE overhaul! I updated the fonts on the posters, but I also added a few other resources for you. I added a few FAQ's to hopefully help answer any questions that you might have. 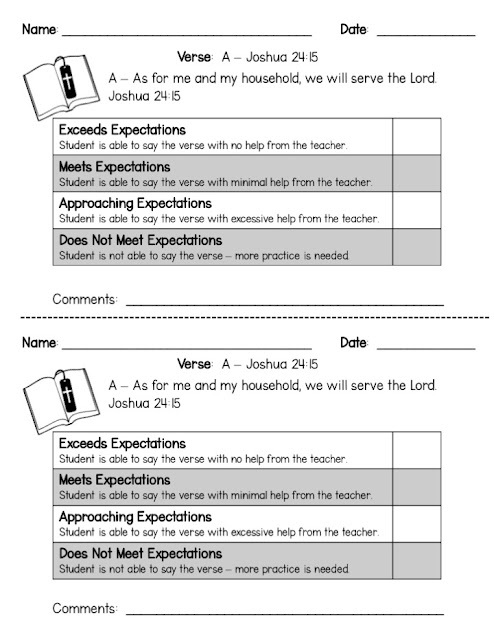 I have used this resource for several years in my Kindergarten classroom, and I am always pleased with how the students learn God's Word. 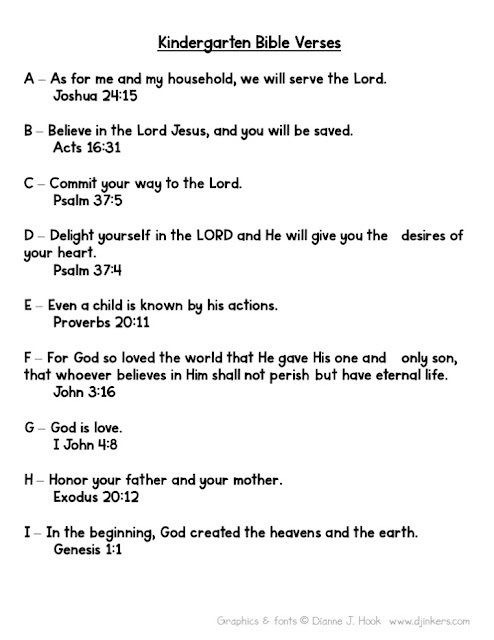 There is now a list of all of the verses so that you can send that home with your students or put it in their take-home binders. This is great for the parents so that they see all that their child will be learning as well as possibly help them a little bit at home. 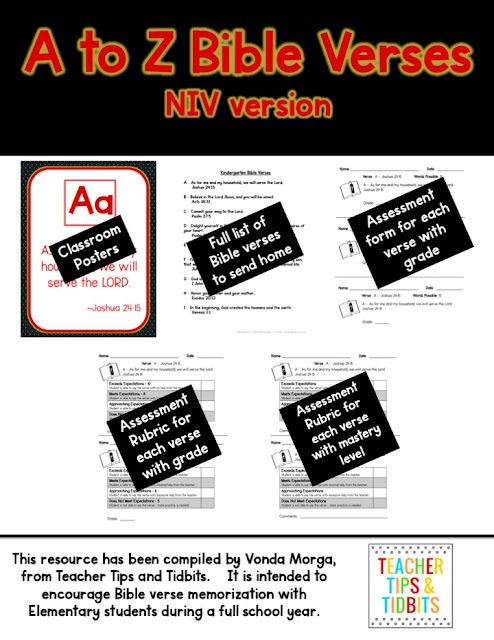 I've also added three different types of assessment forms for you to use. 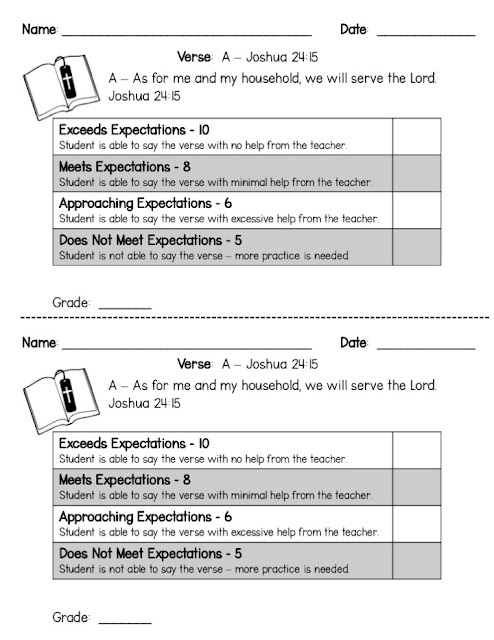 We are required to assess at our school, so the forms are nice to send home with parents to show them how their child is doing with their Bible verse memorization. 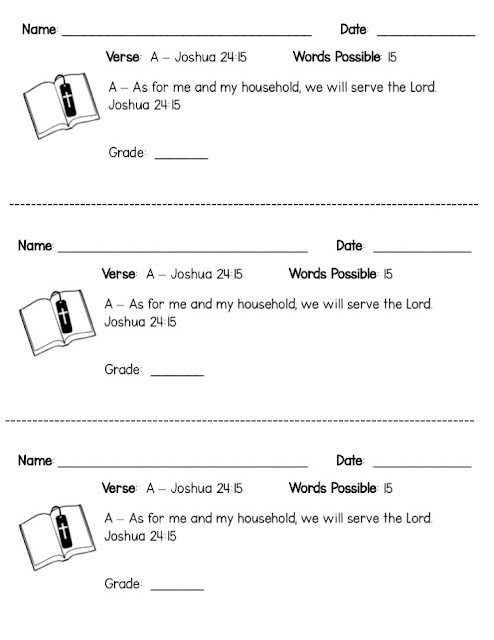 When I use any of these forms (and I suggest sticking with one for the full year), I circle any words that the child missed. Click on the top pictures or any of the picture captions to access this resource! 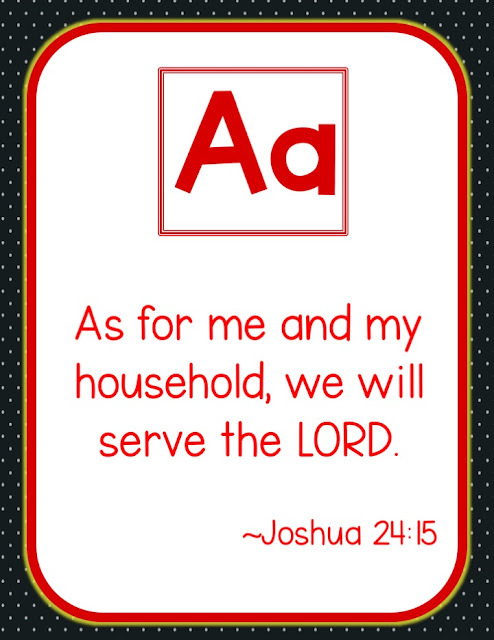 Thank you for teaching your children or students to hide God's Word in their heart!